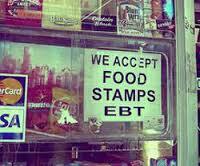 ARE YOU ACCEPTING THE EBT/ SNAP PURCHASE CARD!!! Global Merchant Services is now offering The Electronic Benefits Transfer (EBT/ SNAP) or The Purchase Card Program. Electronic Benefits Transfer (EBT/SNAP) is growing at a tremendous rate. Government programs such as Food Stamps, Women/Infants/Children (WIC), and Temporary Assistance to Needy Families (TANF) issue benefits on an EBT card. The card works like a Debit Card, with electronic payment authorization. In many states, EBT/ SNAP Cards are the primary source for government-issued benefits. Today, more than 90 percent of Food Stamp benefits are issued on EBT/SNAP Cards. Financial experts predict that social security and other benefits will eventually be issued on the EBT/SNAP Cards. The EBT/ SNAP Purchase Card has replaced the Paper Based Food Stamp Coupons and Public Assistance Checks. 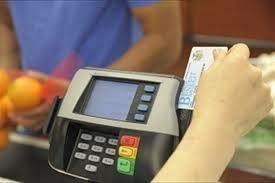 All Food and Consumer Services (FCS) certified stores could participate in The EBT/ SNAP Purchase Card Program. If you choose not to participate, you will not be able to accept Food Stamp Purchases or Public Assistance from customers with the EBT/ SNAP Purchase Card. Your customers who receive Food Stamps and Public Assistance will be receiving their Benefits on a Plastic Card, similar to a Credit Card. These customers will come to your store to purchase goods using their EBT/ SNAP Purchase Card. The EBT/ SNAP Purchase Card Program helps reduce your costs and time spent processing Food Stamp Coupons because the purchases are done electronically, you NO longer need to total the coupons, bundle or deposit. You have NO liability for Food Stamps or Public Assistance transactions as long as The EBT/ SNAP Purchase Card Cardholder enters the Personal Identification Number (PIN) into The EBT/ SNAP Purchase Card Equipment and the purchase is approved, similar to a Credit or Debit Card Transaction. You NO longer give change back to Food Stamp Recipients. Food Stamp purchases are recorded to the penny. All EBT/ SNAP Purchase Card purchases performed at your store are automatically deposited into your account within 24 to 48 business hours. You can call a Toll-Free Help Desk 24 Hours a Day, 7 days a week, with questions, problems or other concerns about The EBT/ SNAP Purchase Card Program. Balancing EBT/ SNAP Purchase Card purchases is done the same way similar to balancing your credit cards or register. You will receive training and instructions on how to perform this function. If you have any questions or comments or in need of any of our exclusive Financial Services, please feel free to contact a Global Merchant Services Representative at sales@globalmerchantservices.com.